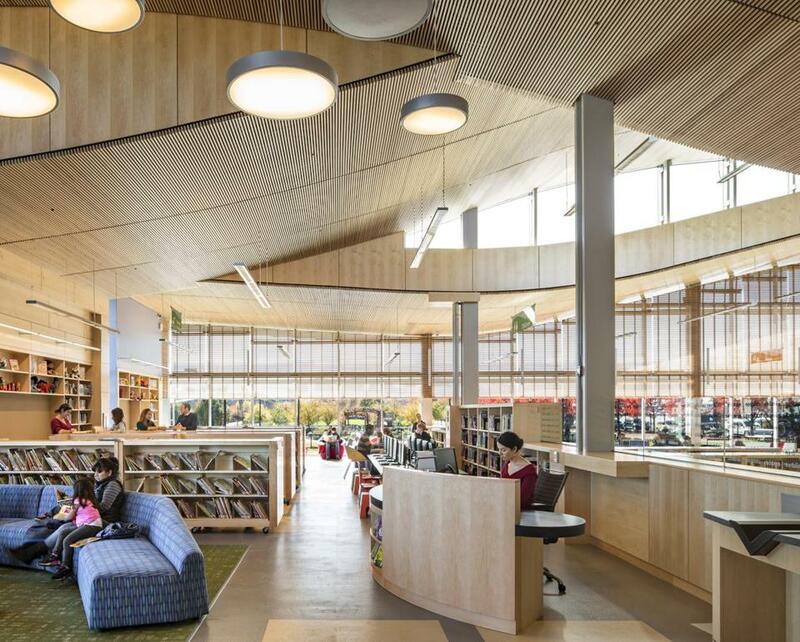 The Boston Public Library’s East Boston branch has no interior walls, giving the building a sense of community that is different from the typical library feel created by separate areas for different age groups. If you want to know anything about movies, the Internet’s got you covered. Likewise for details about the world’s roadways, song lyrics, or Pokemon characters. But if you want to know about books and the other items of culture we’ve entrusted to libraries, it’s much harder to find out. We’re not even sure what to link to when posting about a book. In short, there’s a library-shaped hole in the Internet. This is not just an inconvenience. As they say, if it’s not on the Internet, it doesn’t exist. But it would be tragic if library culture were to fade into irrelevancy. 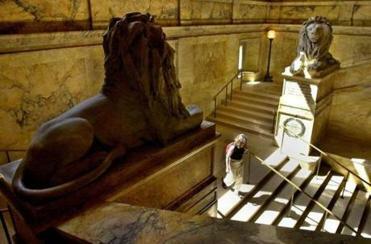 Take the magnificent Boston Public Library. It may have temporarily misplaced some valuable artworks, but it can generally lay its hands on any of its almost seven million physical books and 17 million other items — including 1.7 million rare items, 729 copies of Harry Potter books, and a Jane Fonda workout DVD. Our archaic copyright laws prevent libraries from making much of that content openly available online, but libraries are much more than traditional content — each one also includes librarians, information systems, and the communities they serve. The BPL should be an innovative centerpiece of Boston’s knowledge ecosystem. Librarians understand the context in which books make sense, how they go together, what are the canonical readings, and what are the dissenting works worth reading. Library information systems may not know as much about users’ behavior as Amazon does, but even highly anonymized usage records can say a lot about what a community values: which works people are reading, which ones they like or think are important, and even the relations they see among the works. In essence, the library can hold a mirror up to the community, allowing it to get a clearer and stronger sense of itself. That means libraries should seize the initiative to fill that hole in the Internet with everything they know and are allowed to make public. But libraries can’t do that by themselves, and not only because they are typically underfunded. There are just too many different ways that library culture can be put to use for librarians to figure them all out on their own. The Internet has taught us that the best way to inspire innovative solutions to challenges is by opening up resources to the entire world. Libraries can do this by making their information available to any developer who has a good idea. There are well-established ways of making this happen. Usually, it requires an API (application programming interface), which is like a website where computer programs can request not web pages but pure information. This approach is already beginning to be adopted. For example, the Digital Public Library of America assembles copyright-free material from our nation’s libraries — including scans of historic and local documents — and makes it openly available both to end-users and to developers. Other libraries around the world are starting to make information about their holdings available. But to keep them a vital part of our culture, we need more than that. Imagine if data were available about patterns of usage in communities around the world, the digital highlighting and annotations made by users, records of what people are searching for, which books are kept past their checkout date, which books are put on reserve for classes, and the books assigned for particular topics. If all that was broken down by library — but scrupulously anonymized and blurred — there would be no end to the ways in which users could learn from one another and freely explore within the vast web of culture. This would also go a long way to keeping library knowledge relevant, for this information could be linked from other sources of information about authors, courses, geography, historical weather data . . . to everything. There are important efforts — such as the Linked Data for Libraries project led by Cornell, Harvard, and Stanford — getting started on that task. Opening up resources in this way enables the culture of libraries to be knit into the online network where our culture has taken up residence. Someday perhaps the content will catch up. David Weinberger is a senior researcher at Harvard University’s Berkman Center for Internet & Society. Libraries should seize the initiative to fill that hole in the Internet with everything they know and are allowed to make public.